As a nice pause between hard and complex games, I’ve took some time to participate into the AirConsole contest 2016! What is AirConsole? If you still don’t know the new next-gen AirConsole gaming technology you should really give it a try! AirConsole is a new gaming system meant for local multiplayer gaming. With AirConsole technology, your Computer or Smart TV screen becomes the game screen and your and your friends smartphones become the controllers! And there’s no need for any installation anywhere, you can just use your browser even on your mobile device! Simply go to AirConsole.com both on your Computer or Smart TV and Smartphone, insert the given code and start the battle! I like it very much! It is really awesome! So, for their new platform they needed games, many games, so they made a contest … which unluckily I discovered too late, at just 7 days from the submission deadline! But, even if short in time, I decided to participate, and with great efforts and hard work, after 5 days I did it (also thanks to Claudia who helped me with graphic design and testing)! 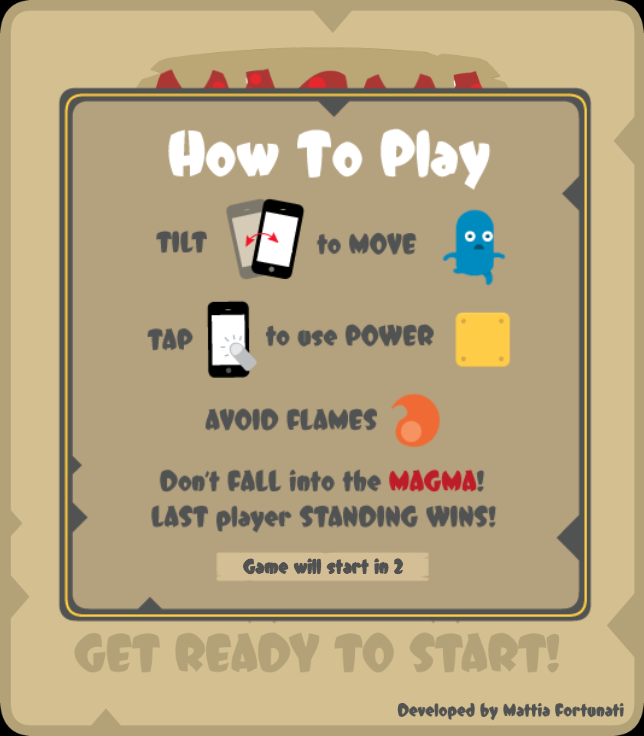 Magma Dash is local multiplayer action party game featuring the new next-gen AirConsole technology! Make the other players fall into the magma, at all costs! 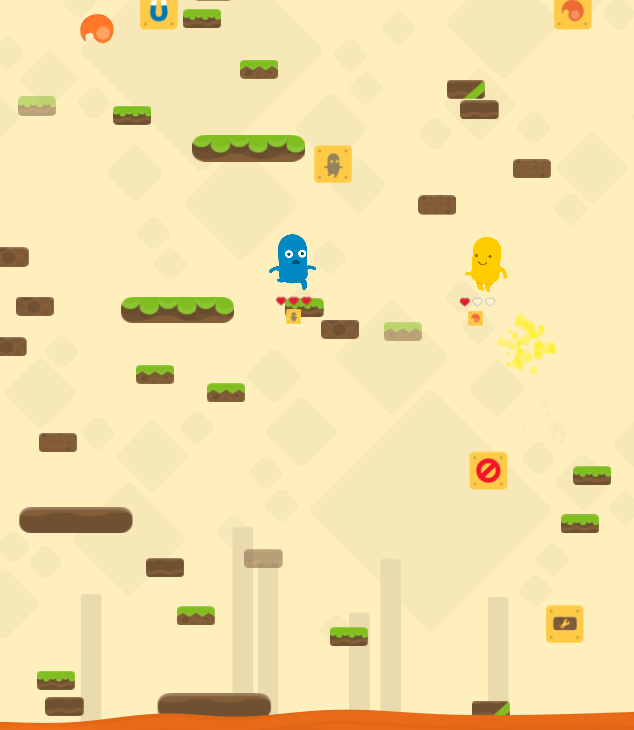 Jump from platform to platform, avoid flames and use awesome power ups! Throw, stop and hinder your friends! Make them invisible, trick them with traps and much more! Tilt your device to move, and tap to use power ups! Well, thanks for reading and for playing my games! And stay tuned for cool news!